Nitro Pro is a PDF editor allowing you to edit, create, share, and convert PDF files according to industry standard. You can get Nitro PDF Pro exclusively for Windows to edit data and information in PDF files on your Windows device. However, there is no Mac version available. Luckily, for Mac users, we’ve outlined the best Nitro PDF alternatives for Mac – including PDFelement Pro to edit, share, sign and convert PDFs. 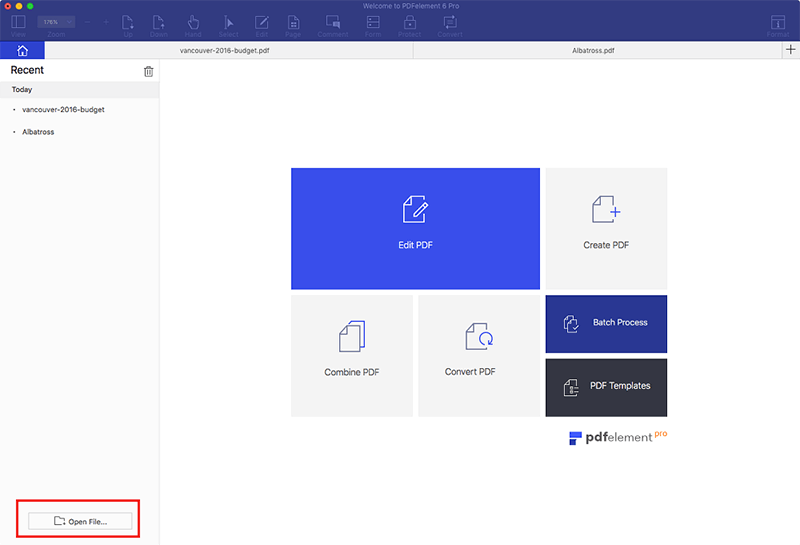 To edit and convert PDF on Mac (including macOS Mojave), PDFelement ProPDFelement Pro is an ideal alternative to Nitro PDF. With this professional Mac PDF editor and converter, you not only can convert PDF files to formats like Text, Word, PowerPoint, Excel, HTML, EPUB, RTF, etc. in easy steps, but also can edit PDFs with an array of editing tools like Touchup, Add Text, Highlight, Underline, Strikethrough, Pencil, Sticky Note, Arrow and many more. Both standard and scanned PDFs are supported, and PDFelement Pro for Windows is also available. 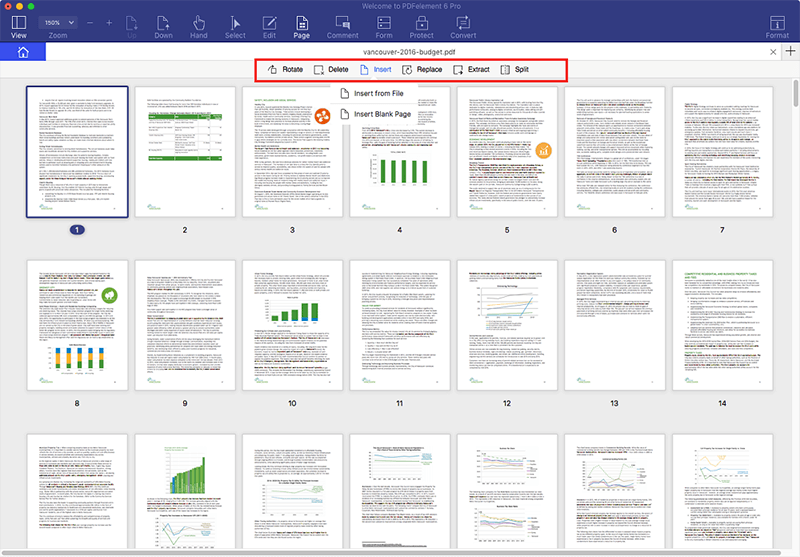 Edit PDFs as easily as Word files and retain original formatting. 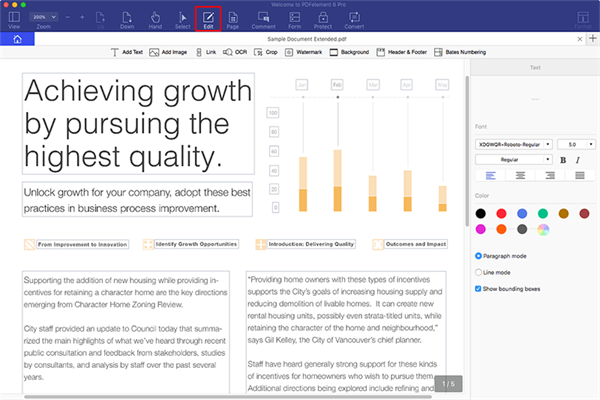 Easily markup and annotate PDFs with multiple handy tools. Convert PDF to Word, Excel, PPT, EPUB and other formats. Edit and convert scanned PDFs with advanced OCR features. Secure PDFs with watermarks, signatures, and passwords. Only a few simple steps are required to convert or edit PDF files on Mac (macOS Mojave included) with PDFelement Pro. Follow the instructions below. Run this Nitro pro alternative for Mac. In the main interface, you can see its main function tab including edit PDF, convert PDF, create PDF, combine PDF, batch processing and PDF template. Click the "Convert PDF" button to active the conversion window, and you will get a new window to import PDF files by dragging and dropping PDF files into the program. To select multiple PDF files, click on the "Add Files" button on the top left window and then select the files you want to convert. Set an output format for your PDF documents. And specify the pages you want to convert, and then click "Convert" to begin the conversion. Note: This Nitro PDF for Mac equivalent also converts encrypted PDF files. For those PDF files that are protected from copying and printing, the restriction will be removed automatically while converting. For those Open Password protected PDF files, after you add them to the app, click the Lock icon on the left and input the password to unlock them before starting conversion. Edit Text and Images. To edit PDF text, click the "Edit" button on the top toolbar, then double click any text to start typing. By clicking the "Edit" button, you can click on an image and delete it by pressing Delete on your keyboard, or simply move it to a new position. Control click (double click) for more options. Annotate PDF. All annotation tools are provided: Highlight, Underline, Sticky Note, Pencil, Line, and so on. 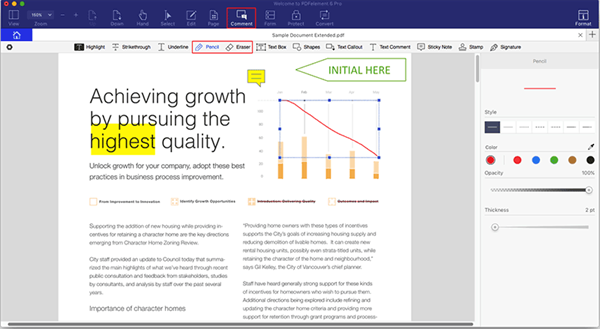 To annotate PDF, click the "Markup" button on the top toolbar and then select an annotation tool. 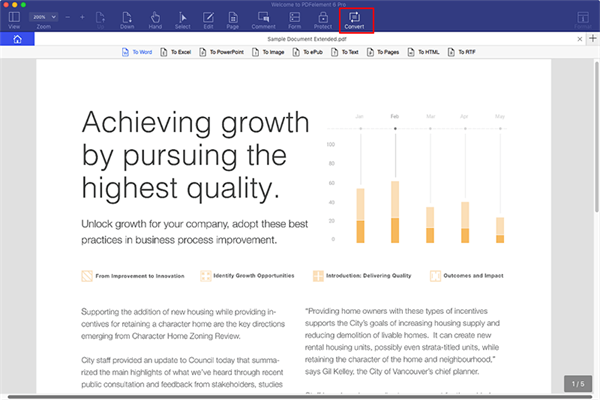 You can now easily markup the content in your PDF. 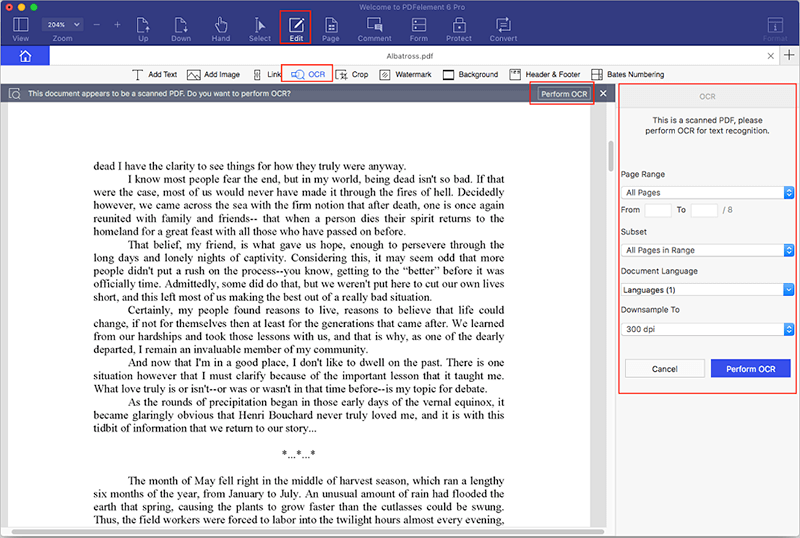 Edit PDF Pages. On the right-hand side of the interface, you'll find tools to delete, extract, insert, crop, and rotate pages as well as split PDF documents. This Nitro Pro alternative for Mac comes with accurate OCR technology to digitize scanned PDFs for converting and editing. When you import a scanned PDF file, you'll get a message that lets you select the right language and perform OCR recognition. Alternatively, you can click the "OCR" button on the top right corner of the interface. This way, you can convert the scanned PDF file into an editable document. After the influx of "Nitro PDF Professional", this PDF software took PDF software value to new levels. Thousands of business people and customers across the world have used "Nitro PDF Software" to stumble upon the advantages of this exclusive software. For Mac users, Nitro PDF Mac is highly accessible and converts PDF files into easily editable formats. Nitro PDF Plugin Not Working? Fixed!